Confessions of a Stitch Wraith: Change of HEART. 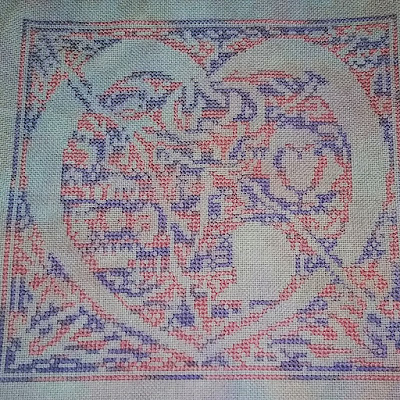 I don't like the heart I stitched in the right-hand quadrant of Celtic Heart. It just doesn't look right. 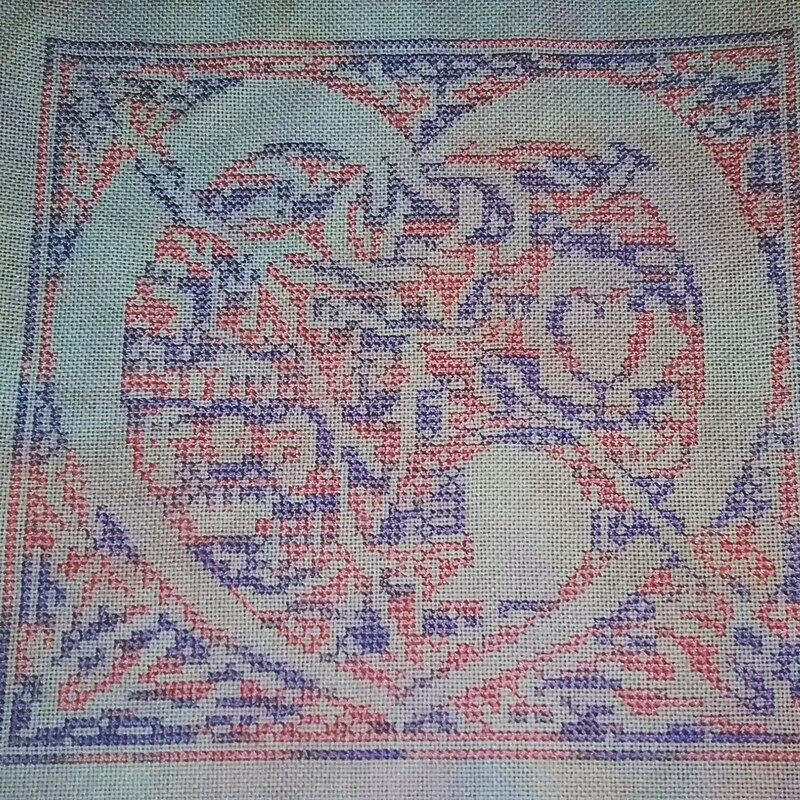 I believe I'll frog it and do another heart instead. I think it looks okay, but you might want to add some 'filler' around it to eliminate the blank space. I look forward to seeing what you come up with.